Friday, March 29th, from 5:30-10:30pm, at The Golf Club at Newcastle. 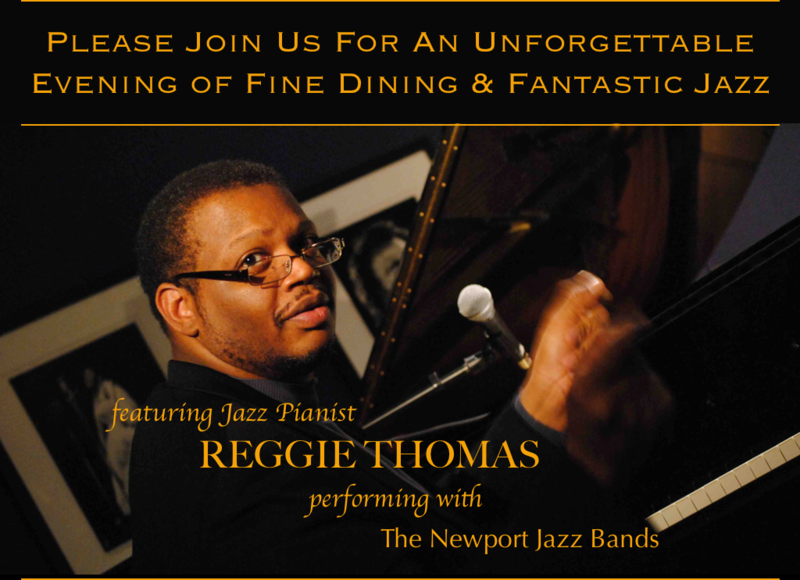 Join the Newport Band Parents Association (NBPA) for an unforgettable evening of fine dining and fantastic jazz at Newcastle Golf Club, showcasing the incredible talent of Newport High School's fine young jazz musicians and featuring professional guest artist, jazz pianist Reggie Thomas. Also featured is an appearance by the award-winning Newport Pride Marching Band drumline! Individual gala tickets include champagne reception with appetizers, an elegant dinner designed by Newcastle chefs, wine and entertainment. Vegetarian and Gluten Free dinner options are also available. All donations and sponsorships for this event and to the NBPA are tax deductible. All proceeds from this NBPA annual event benefit all band programs and their over 180 students at Newport High School including all three concert bands, the percussion ensemble, the jazz bands and the award-winning Newport Pride Marching Band. The Newport Band Parents Association is a 501(c)(3) non-profit organization, Tax ID# 82-5443582. Please bring a bottle of nice wine to donate to our Instant Wine Cellar. All donated wines to the Instant Wine Cellar will be auctioned off as one item during our live auction. Instant Wine Cellar is one of the most popular auction items of the evening! 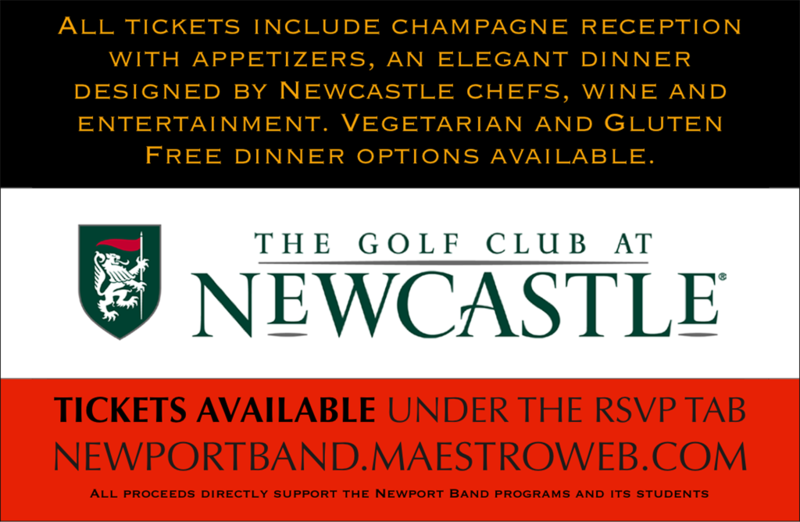 Can't attend the Gala but still want to support the Newport Band Program? Simply choose the "DONATE NOW" option from the menu on the left.